his brush with all the blood of all the sainted"
Jusepe de Ribera is best known for his dark, twisted, often gory and sometimes downright bizarre paintings of torture, martyrdom, and freaks. This perception of Ribera's paintings was particularly promulgated by Ribera's Romantic admirers, like Theophile Gautier and Lord Byron. 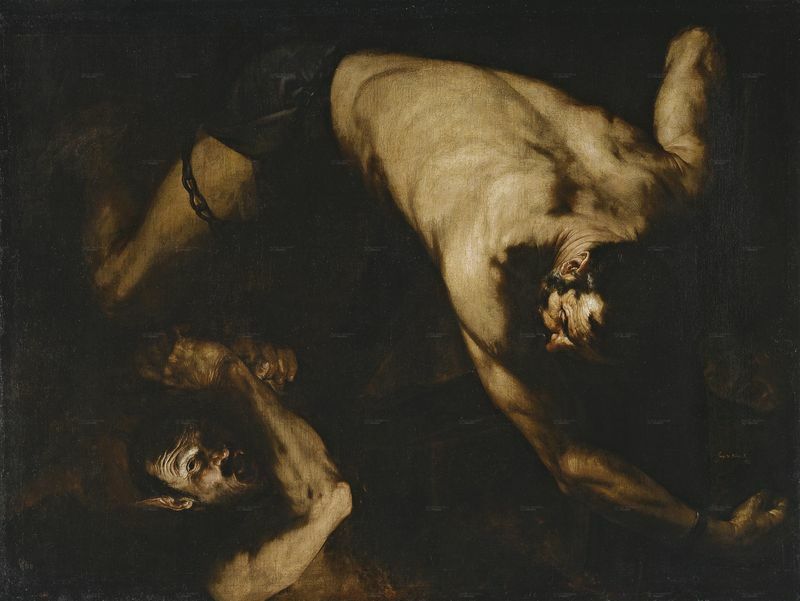 Ribera's paintings are indeed often dark, disturbing and bloody, but that's not all there is to his paintings: a closer look at the artist's oeuvre will reveal that Ribera's style is in fact far more varied than previously suspected. It should be emphasized, however, that although Ribera's style is typically divided into two distinct phases (before and after 1632), the development of his style was far from linear. In fact, Ribera could practice two quite distinct methods at the same time, as he always adapted his style to suit the content of his painting. Ribera may have been excessively proud of his Spanish heritage (signing almost all of his paintings as "the Spaniard" or "Ribera from Valencia"), but his style would differ significantly from that of his compatriots. This difference was inevitable: based in Italy, Ribera had the chance to see the best examples of ancient Roman and Renaissance art, whereas other artists of the Spanish Baroque (such as Murillo, Zurbarán, and, to an extent, Velázquez) were far more isolated from these foreign influences. 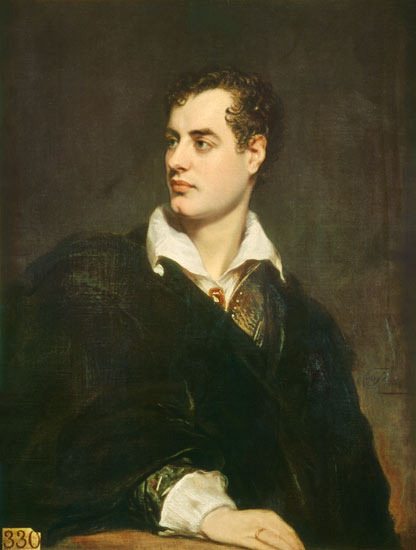 The term "chiaroscuro" refers to a strong contrast between light and dark, but tenebrism goes even farther beyond the drama of chiaroscuro: tenebrism (literally, "shadow painting") refers to an intense, shadow, almost impenetrable darkness. Ribera's early paintings (as well as some of his late ones) are often shrouded in a gloomy, forbidding darkness that suit his often violent, dramatic subject matter (notably depictions of the tortured suffering of saints or mythological figures). The shadowy darkness of Ribera's style would have a big impact on other Spanish painters back home such as Zurbarán and Velázquez. The unprecedented realism that characterized the style of the northern Italian painters (particularly those from Lombardy and Bologna, including Caravaggio and Annibale Carracci), was taken to new and perhaps even uncomfortable heights by Ribera. This artist particularly delighted in the naturalistic, life-like depiction of old flesh, complete with wrinkles, sagging skin, sinewy tendons and unusual growths. Painting the elderly was certainly a way for Ribera to allow his ability to copy directly from nature to shine, but as many art historians have pointed out, Ribera does not exploit the subject to mock them. On the contrary, Ribera's figures are instilled with a fundamental dignity and humanity that elevates them above the level of humor. Ribera was an excellent draughtsman, and in his painting this translates into an emphasis on linearity and strong contours, a characteristic he also shares with Caravaggio. Beginning in 1632, Ribera's style began to undergo a radical change. 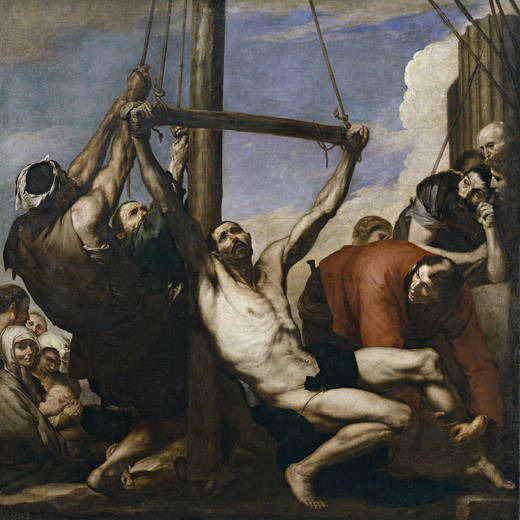 Although Ribera would continue to utilize his earlier, tenebristic style throughout his career when it suited his subject matter, after 1632 he began to adopt lighter, brighter colors and a much freer brushstroke. This change in style speaks to the new influence of Rubens, van Dyck, and the Venetian painters (particularly Titian and Tintoretto), whose works Ribera would have known through private collections in Naples. This is the style that people often forget when they think of Ribera. 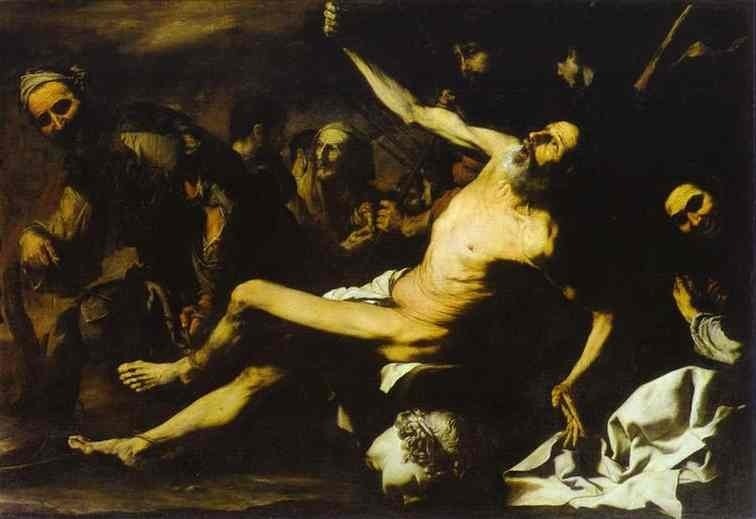 All too often, Ribera is remembered only for his dark and bloody paintings, but in reality some of his most powerful and important images were executed in the artist's mature style. Observe the striking Jacob's Dream, for example: the tones are far lighter and the pictorial space far more developed than in Ribera's earlier paintings, and his brushwork is more expressive than ever before. Ribera was unusual for a Spanish artist in that he was an excellent draughtsman. This is another example of the Italian influence: there was a strong, long-standing tradition of drawing and printmaking in Italy (as well as elsewhere in Europe) that was lacking in Spain. 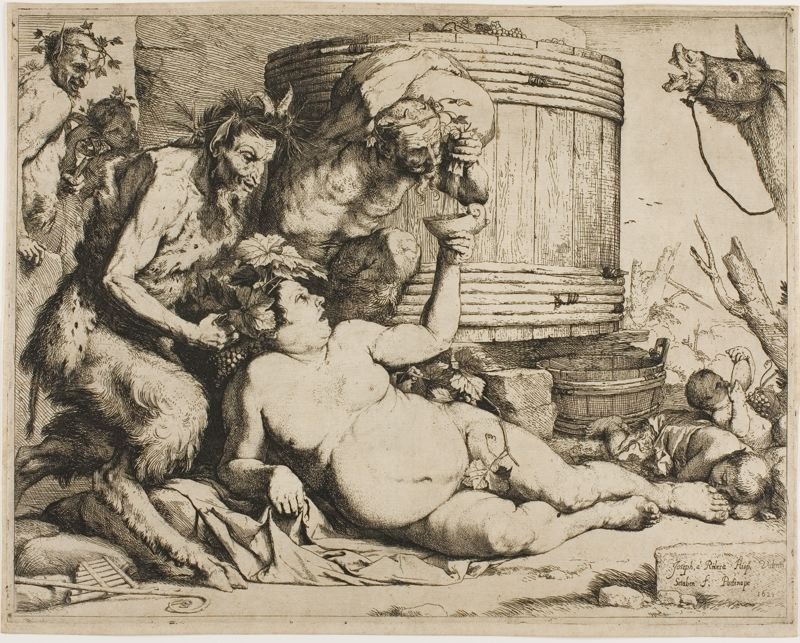 Unlike artists like Velázquez and Zurbarán, Ribera was a prolific sketcher and was particularly well-known for his mastery of etching and engraving techniques. In fact, Ribera held the art of drawing in such esteem that in the 1620s, he attempted to compile a teaching manual (which was ultimately unpublished). 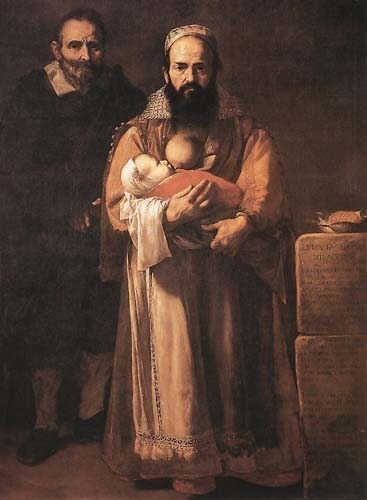 Ribera not only sketched in preparation for his final, painted compositions, but also etched his own paintings as a means of recording and distributing (in lieu of photography).